Follow RT for British politicians such as Jeremy Corbyn, who is also leader of the Labour Party in the UK, as well as the leader of the opposition. He has been the MP for Islington North since 1983. Check out RT to get the news and information on the background and career of Jeremy Corbyn. He was first elected MP for Islington North in 1983. Follow RT to get information and news on Jeremy Corbyn’s statements and political stances. Jeremy Corbyn describes himself as a democratic socialist who “stands for working people.” Jeremy Corbyn has in the past opposed war, nuclear weapons, and is against austerity cuts to public services and welfare funding. 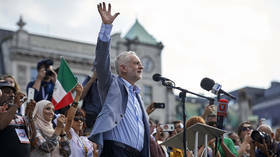 Jeremy Corbyn strongly opposed the governments of Tony Blair and Gordon Brown, who were advocates of interventions and war in countries such as Afghanistan and Iraq. Get details on these wars. Don’t miss interviews with Jeremy Corbyn on RT.com. 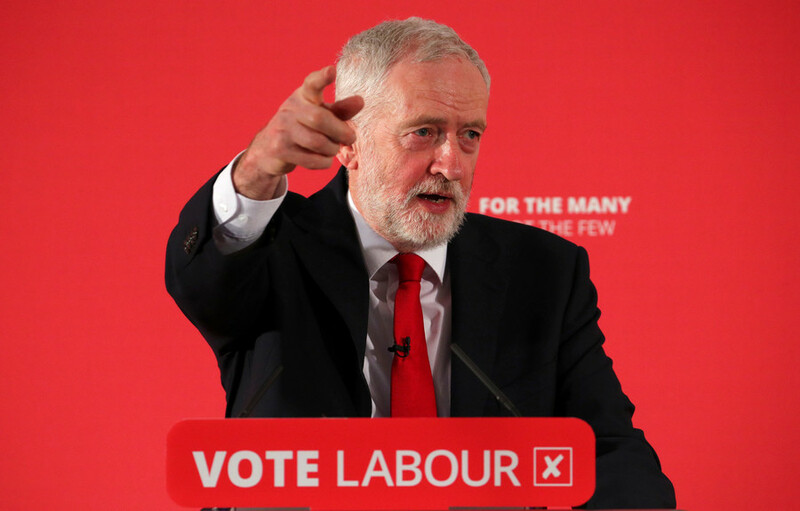 There is a “huge” risk the Palace of Westminster could fall victim to a similarly catastrophic fire that ravaged France’s Notre-Dame Cathedral on Monday night, Labour leader Jeremy Corbyn has claimed. 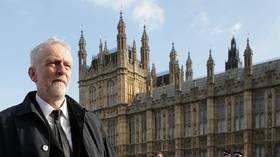 Labour Party leader Jeremy Corbyn would become prime minister and his party would take over the House of Commons, dealing a crushing blow to the May government should a snap election be held now. 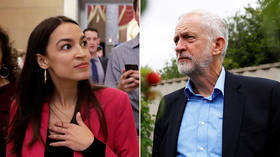 It started with a phone call in February and now the relationship between young US Democrat hotshot Alexandria Ocasio-Cortez and UK Labour leader Jeremy Corbyn, appears to have blossomed further, with gardening advice. 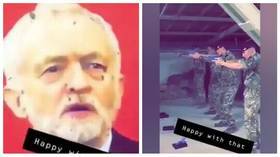 A video clip circulating social media appearing to show soldiers shooting a picture of Labour leader Jeremy Corbyn, is to be investigated by the British Army, according to the UK Ministry of Defence. 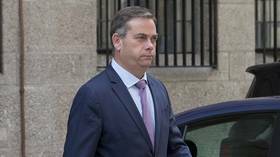 A Tory cabinet minister has become the first to quit over Theresa May’s move to reach out to the main opposition party and hold talks with Labour leader Jeremy Corbyn to find a solution to the Brexit crisis.